Founded by Irish International player and coach Gavin Maguire. Table Tennis Provider is the first exclusive table tennis coaching company in Ireland. Founded and lead by Irish International player and coach Gavin Maguire. Gavin has a rich history of table tennis playing and coaching including 3 Senior National Championships Singles Titles. Gavin has been coaching table tennis for 10 years in schools clubs and decided to turn his love of teaching table tennis into a day to day business. We endeavour to cater for all types of table tennis enthusiasts. The mission or goal at Table Tennis Provider is to help make table tennis freely available and accessible in Dublin and Ireland. 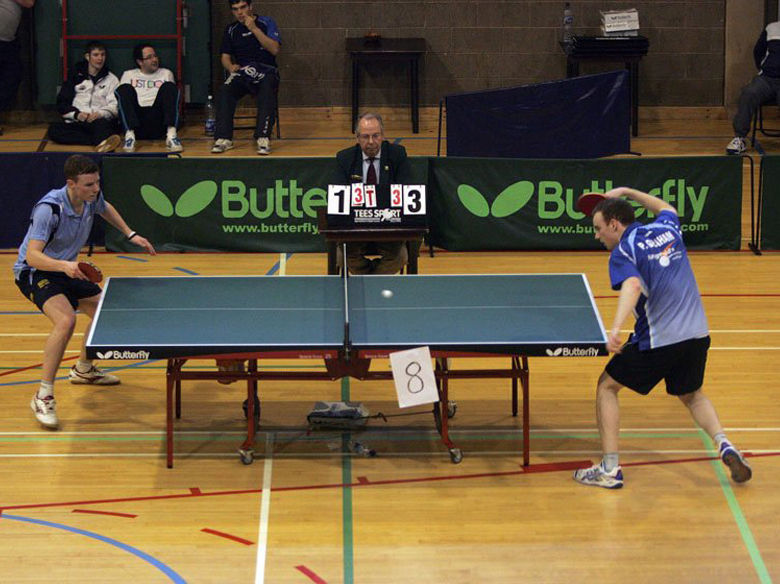 Our goal is to help table tennis become the household name & game that it once was in Ireland. We want to get active in Clubs, Schools, Businesses, Households and many more countrywide. Table Tennis Provider aims to grow and educate a team of coaches capable of providing table tennis coaching to Dublin & the greater Dublin area. Currently Table Tennis Provider is run and lead by its founder Gavin Maguire. Gavin is an international table tennis player and coach. Having started playing table tennis in Eastpoint Table Tennis Club in Clontarf Gavin quickly rose through the ranks of Irish Table Tennis making his debut in a green shirt in 1999 at the Primary Schools 6 Nation Championships. Gavin has enjoyed an illustrious playing career which helped him to travel the world, experience cultures through Europe, Asia, America and more. A journey that began at Eastpoint TTC in Clontarf lead to stints playing for clubs in the U.K, France, Germany & Norway. As a junior Gavin represented Leinster & Ireland on a regular basis and combined school work, training and travelling regularly. After combining travel and study upon completion of his degree at university Gavin decided to switch his focus to become a professional Table Tennis Player and spent 3 years at the TTZ training centre in Eilenburg, Germany. Gavin is currently enjoying a run of 10 years and counting in the Senior Irish National Team. This run has lead to Gavin participating in 6 World Championships & 6 European Championships, along with several other international caps. At the moment Gavin is a graduate and long-serving member of UCD TTC and ply’s his trade in the British League for Ormeau TTC and Norwegian League for Eiker BTK. Domestically, Gavin has won several National Titles that include x3 Men's Singles, x4 Men’s Doubles, x2 Mixed Doubles, x1 U21 Singles, x3 Irish National Team Tournament, x5 Irish Intervarsity Team, x3 Irish Intervarsity Singles, x4 Irish Male Player of the Year & a host of other domestic open championships. Initially as a young adult Gavin began coaching as a way to help fuel his ambition to become a top table tennis player. Combining his playing career and study at university, Gavin also worked in schools and clubs around Dublin in his spare time to help generate funds to send him to more international tournaments. Gavin has been member of the junior national coaching & selection team for 5+ years now and continues to be an integral part of the performance programme from a coaching and playing perspective. This includes travelling to international events with some of Ireland's best players and working with them on a monthly basis in the training hall to help them improve their game. 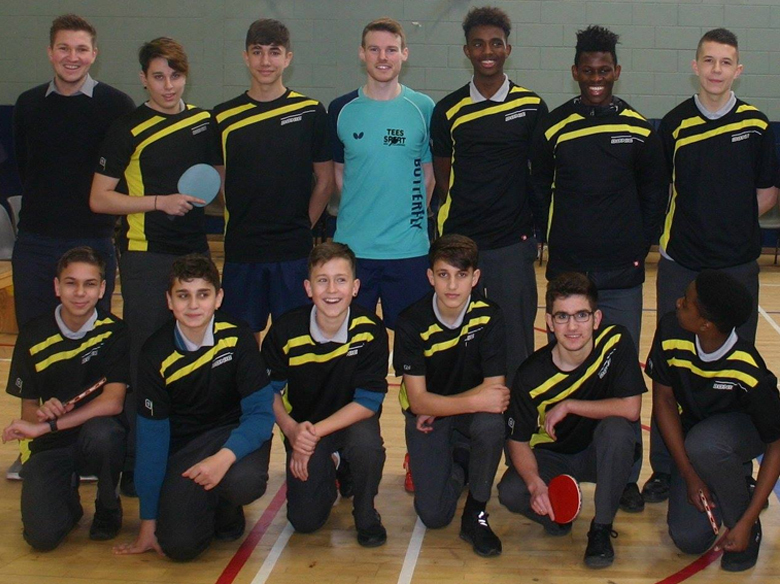 Coaching in Blackrock College has been a major part of Gavin's coaching career, with 10 years ongoing association UCD’s TTC's main feeder school. Gavin has been part of the coaching team that has lead to Blackrock winning a record number of All Ireland & Leinster schools titles. Gavin's main focus and area of responsibility is in one to one tuition with the players to help improve specific areas of their games going into competition. 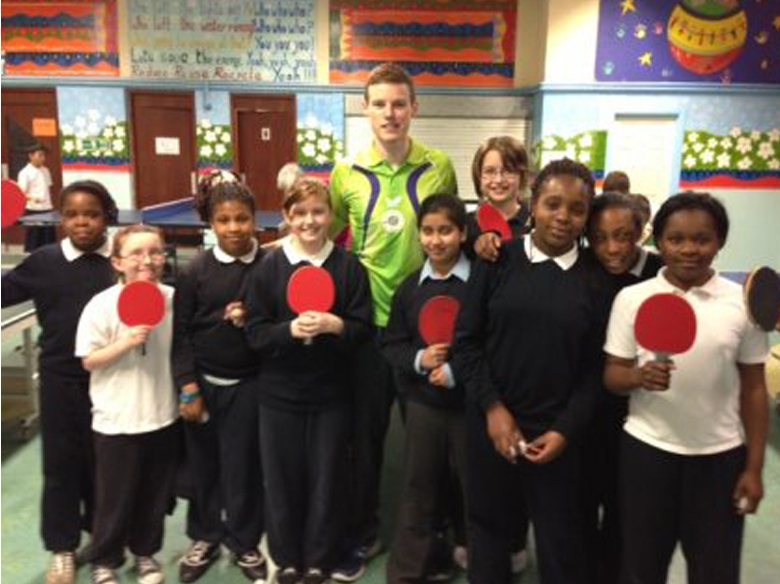 Gavin also has 3 years experience working in development roles for Table Tennis Ulster & Table Tennis Ireland. Firstly as Active Clubs coordinator for Table Tennis Ulster, Gavin lead a National Lottery funded programme funded to help grow the numbers participating in Sport and create new clubs around Northern Ireland. Targeting specific areas including female participation, areas of high social need & adults between 16-24. During his time with TTU Gavin worked in a variety of areas, and still holds many close links to the projects and clubs that he worked with. 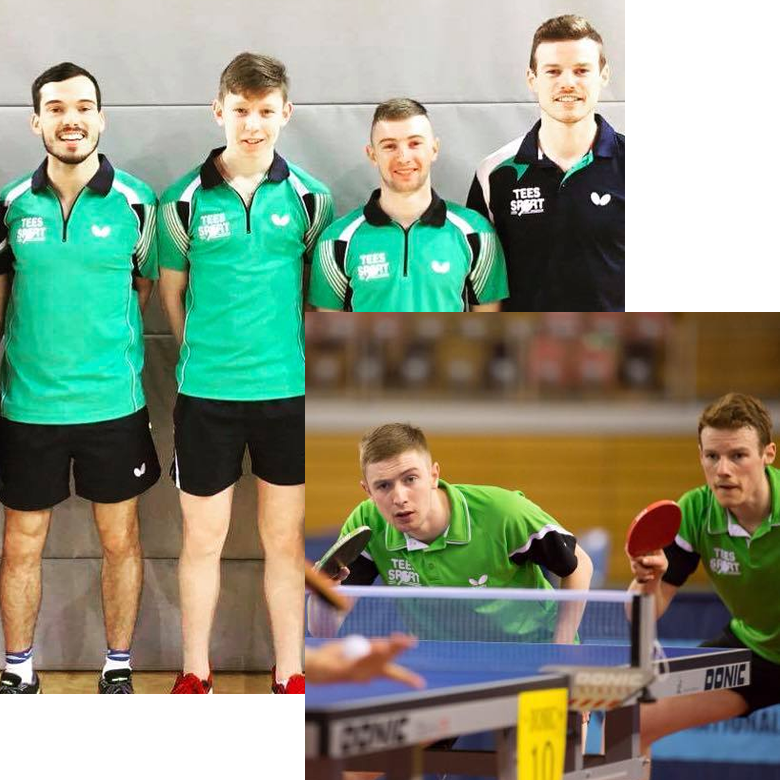 Gavin moved on from Table Tennis Ulster to take up a position as Club Development Officer for Table Tennis Ireland, the National Governing Body for Table Tennis in Ireland. Gavin's role was to help provide a link between the table tennis clubs in Ireland the National Governing body. His main area of responsibility was the creating and undertaking of plans to help shape future development of table tennis clubs in Ireland. Currently, Gavin combines his new business venture with his position as Para High Performance Coach for Table Tennis Ireland. This position enables Gavin to work with some of the brightest talents in Para Table Tennis. Most notably, Gavin coached Colin Judge to his maiden European Title in 2017 in wheelchair table tennis. Whilst focussing on performance para, Gavin provides the pathway for players looking to make the step up from development table tennis into performance table tennis. Gavin was one of the major figures behind the success of Craigavon TTC through his promotions in local schools and communities. Gavin has a friendly yet professional approach. He is dedicated and always willing to share his table tennis knowledge. Colin Judge, European Champion 2017.